Welcome to the twenty-seventh edition of Medicine 2.0, the bi-weekly blog carnival of the best posts pertaining to web 2.0 and medicine. Medicine 2.0 is the science of maintaining and/or restoring human health through the study, diagnosis and treatment of patients utilizing web 2.0 internet-based services, including web-based community sites, blogs, wikis, social bookmarking, folksonomies (tagging) and Really Simple Syndication (RSS), to collaborate, exchange information and share knowledge. Physicians, nurses, medical students and health researchers who consume web media can actively participate in the creation and distribution of content, helping to customize information and technology for their own purposes. Communication amongst and between healthcare professionals and healthcare consumers is a necessary element to improve health and is critical for the delivery of optimal medical outcomes. This edition of Medicine 2.0 covers a wide array of posts with one thing in common — Communication. Dr. Gunther Eysenbach presents an archiving system for Citing Blogs, Preserving Cited Webpages etc with WebCite. Do you Twitter? Dr. Ves Dimov offers A Doctor’s Opinion: Why I Started Microblogging on Twitter. 23andMe presented a slideshow recently in Second Life in the latest session of the Scifoo Lives On series. Dr. Bertalan Mesko covers 23andMe in Second Life: LIVE. Dr. Jay Parkinson asks us to Look, posting a presentation from George Halvorson, CEO of Kaiser Permanente, about health reform. Bunny Ellerin writes about Within3 and the results of a survey at the American Society of Clinical Oncology (ASCO) conference. There’s no doubt that social media is Changing Physician Behavior. Dr. Steve Murphy writes about the upcoming second Helix Health CliniCast on genetic testing, genomic medicine and the science of accurate warfarin dosing, asking How’s that for Genomic Medicine by Press Release? The Digital Pathology Blog reports that Mayo Launches YouTube Channel with videos highlighting the latest research and treatment advances at Mayo Clinic. The Wall Street Journal Health Blog discusses online doctor consults, announcing that The Doctor Will See You on the Webcam Now. Many of us might forget there’s other search tools out there besides Google. Laura Milligan provides a comprehensive list of 100 Useful Niche Search Engines You’ve Never Heard Of. David Rothman posts An Evaluation of the Five Most Used Evidence Based Bedside Information Tools in Canadian Health Libraries, a recent study published in the journal Evidence Based Library and Information Practice. Personalized Medical Search Engine: With Medgadget describes the inclusion of Medgadget in Scienceroll Search, a personalized medical search engine powered by Polymeta.com. Jessica Merritt highlights a number of ways to use Google’s Personal Health Record (PHR), offering The Ultimate Guide to Google Health: 60+ Tips and Resources. Digital records and privacy can be a mixed bag. Alan Brookstone reposts the media report UK Health Agency Loses 31,000 Patients Records. Alvaro Fernandez writes about the Brain Age, Posit Science, and Brain Training Topics, reporting both good and bad news regarding the assessment and training of cognitive skills. Albin Paul discusses the options for a Semantic Search Engine for PubMed — Microsoft Vs Yahoo Vs Google Vs Oracle in Semantic Web Search. András Székely discusses TomographyBlogSearch in the Making, describing the SeekRadiology Project, a search engine for diagnostic imaging. Graham Lanktree reviews a study of prepared patients and internet information, which finds that the Web Buoys Doctor-patient Communication. Gail Garfinkel Weiss writes how the shift from authority-based medicine to one of shared responsibility is playing out in the exam room in The New Doctor-patient Paradigm. Dr. Sreeram Penna provides a list of health care applications currently available for the iPhone in Mobile Medical Software for the Iphone 3g. Dr. Joshua Schwimmer also writes about potential applications on the iPhone for doctors in The New 3G iPhone, the App Store, and Doctors. That concludes the 27th edition of Medicine 2.0. My thanks to everyone who submitted an article. You can find more information about the carnival as well as the hosting schedule and past editions at the Medicine 2.0 Website. 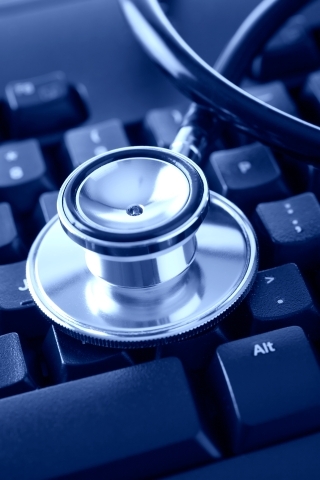 Have you written a blog post about web 2.0 and medicine? Submit it to the next edition of Medicine 2.0 using the carnival submission form.